dPNG requires Apple’s X11 to be installed. If X11 is not installed, dPNG will display an error message directing you to these install instructions. You may install X11 from the Mac OS X Install DVD that came with your Mac. To install, first insert the DVD and open the “Optional Installs” folder on the DVD. 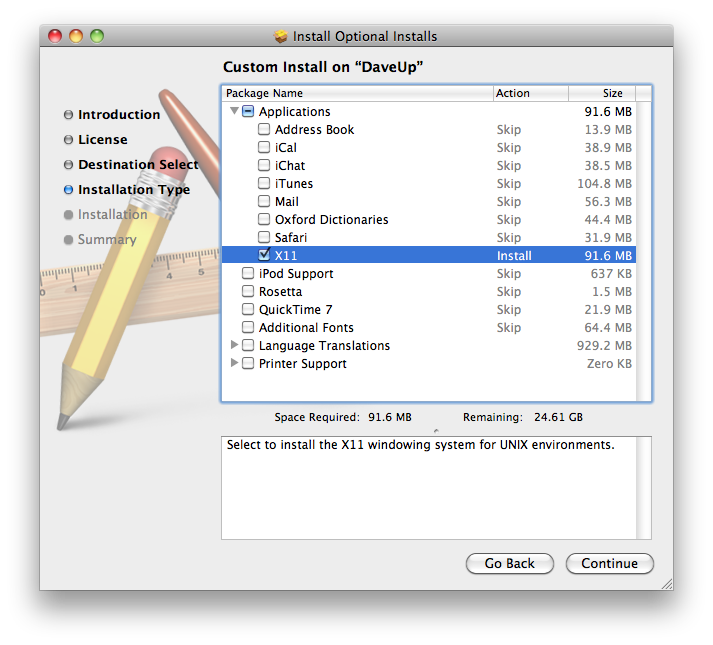 Double-click the “Optional Installs.mpkg” package, and follow the instructions until you are promted to choose what to install. Under Applications, select X11. Then, continue to follow the installer’s instructions to finish the installation.